DAVIS—In the midst of the 100th Anniversary year of Falls Creek Baptist Conference Center, anticipation is growing for a major celebration weekend, Sept. 2-3. Saturday evening, Sept. 2 is the Falls Creek Night of Praise youth concert, 6:30-9:30 p.m., featuring an assortment of musical artists, including Charlie Hall, Jami Smith, Matt Roberson, Cody Dunbar and special guests The Skit Guys. Tickets to the Night of Praise, which takes place in the RA Young Tabernacle, cost $5 each and go on sale April 1 at www.fallscreek.org/100. “We are truly blessed by how many talented musical artists have a connection to Falls Creek, and this Night of Praise will showcase what God has done at Falls Creek. I believe this weekend celebration will be especially memorable for all those who attend,” said Andy Harrison, Falls Creek program director. 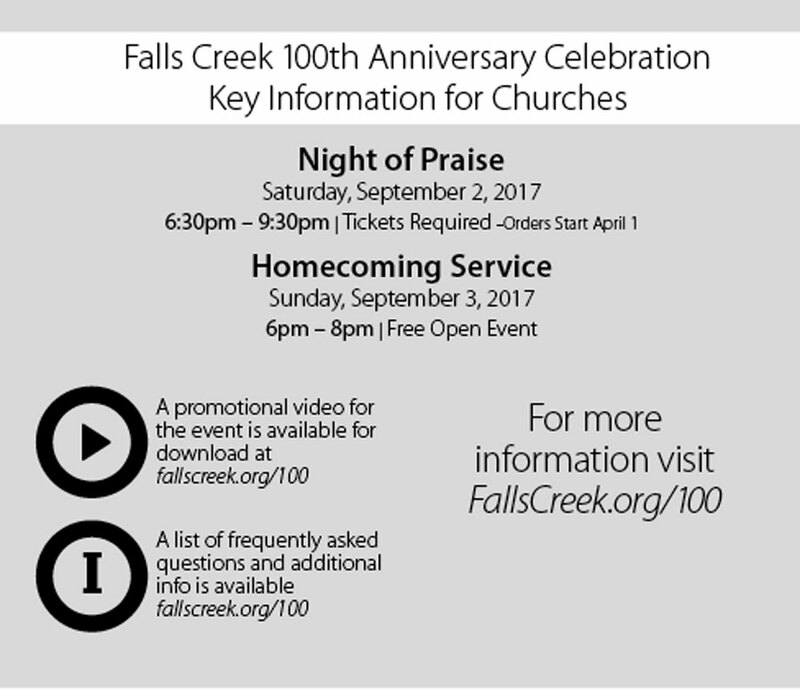 On Sunday evening, Sept. 3, a Falls Creek “Homecoming Service” will take place 6-8 p.m. in the Tabernacle. 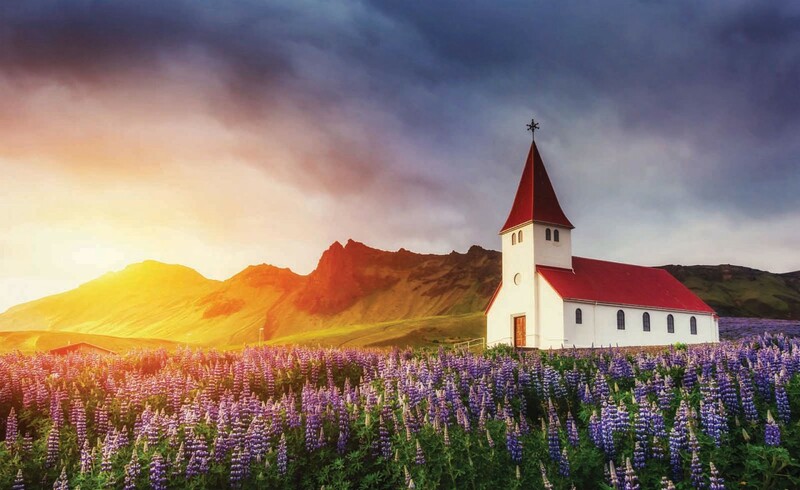 The Homecoming Service will present a classic Falls Creek worship service, with a Falls Creek Centennial Choir, a sermon, recognition of special guests, a commemorative video and other special parts to the program. There is no cost to attend the Sunday evening event. The Falls Creek campgrounds will be opened at 2 p.m. that Sunday, for those who wish to arrive early, and concessions will be available on the campgrounds. People also may participate in the Falls Creek Celebration Choir on Sunday evening, if they pre-register at www.bgcoworship.org and take part in one of three regional rehearsals taking place in August. In a recent joint letter to pastors, Baptist General Convention of Oklahoma (BGCO) Executive Director-Treasurer Anthony L. Jordan and Danny Ringer, director of missions in Beckham-Mills Association, who is serving as chairman of the Falls Creek 100th Celebration Committee, asked Oklahoma Baptist churches to make participating in the weekend a priority. See artists and entertainers on stage at the 100th Anniversary weekend of Falls Creek such as 1) Charlie Hall; 2) Jami Smith; 3) Bill Green; 4) Matt Roberson and; 5) The Skit Guys. “We would not normally schedule an event on a Sunday evening, but we believe this one-time event will be spiritually important for Oklahoma Baptists,” Jordan said. According to Jordan, a vast majority of Oklahoma Baptists have a connection to Falls Creek and a story of faith. He anticipates a large number of Oklahoma Baptists to take part in the weekend. “God has used Falls Creek to make an eternal impact on the lives of so many, including myself. We are so thankful to the Lord for these 100 years, and I am truly thrilled about the plans for this weekend,” said Jordan, who was asked by the Committee to deliver the sermon on Sunday evening. “We want pastors to promote the entire Falls Creek 100th Anniversary weekend to their church congregation and among theircommunity, and to pray that the Lord would move in mighty ways during the 100th Anniversary weekend,” Ringer said. 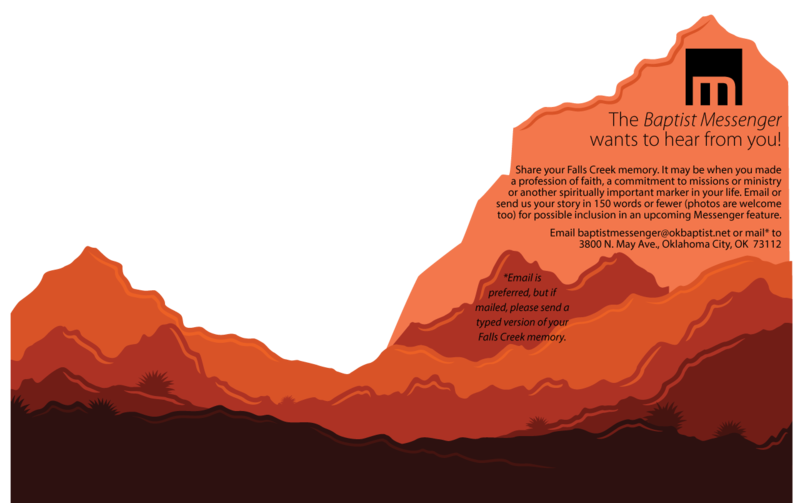 To view more information about the Falls Creek 100th weekend, visit www.fallscreek.org/100.